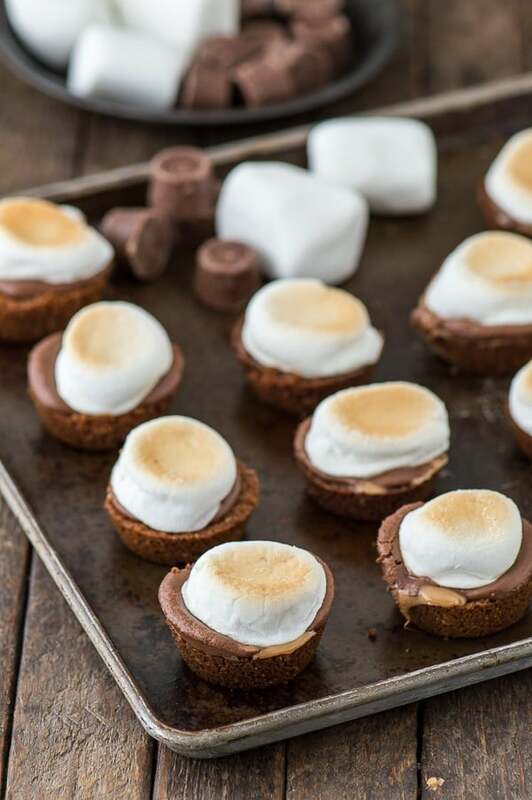 A twist on classic s’mores -Turtle S’mores Bites! Made with a pecan graham cracker crust, rolo’s, and toasted marshmallows! 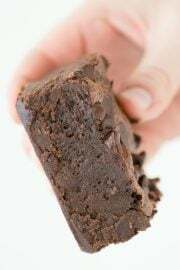 Make them in the oven in less than 20 minutes! 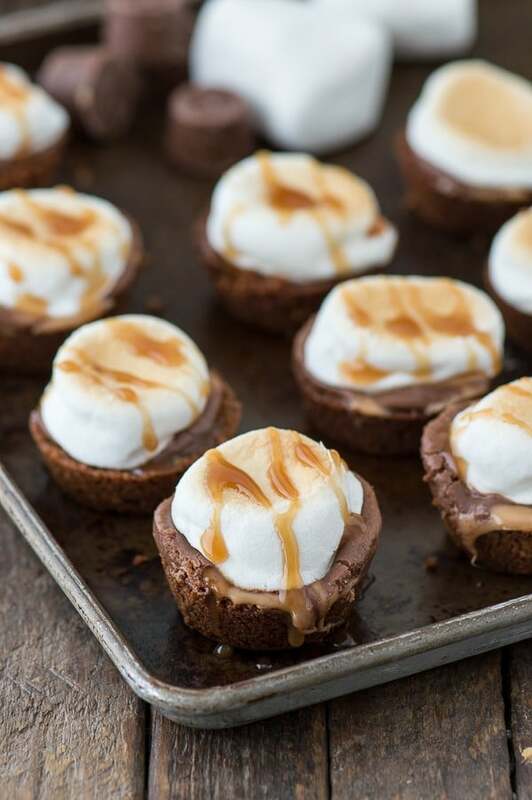 Everyone loves these s’mores bites so I decided to make a delicious variation – a very turtle-y variation with chocolate, caramel, and pecans! The original recipe is very simple and I wanted to keep it that way. No need to complicate a good thing! 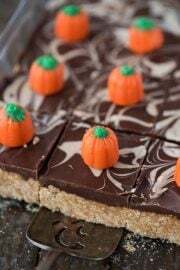 The crust is made out of graham cracker crumbs, finely chopped or pulsed pecans, butter, and powdered sugar. Instead of using a small hershey’s chocolate bar like in the original, this turtle variation calls for rolo’s! A little chocolate and a little caramel, it’s heavenly. 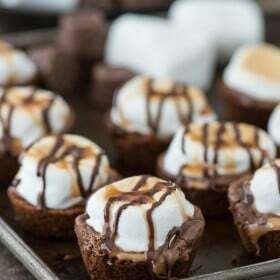 The turtle s’mores bite is topped with a marshmallow, which I like to toast in the oven using the broiler. 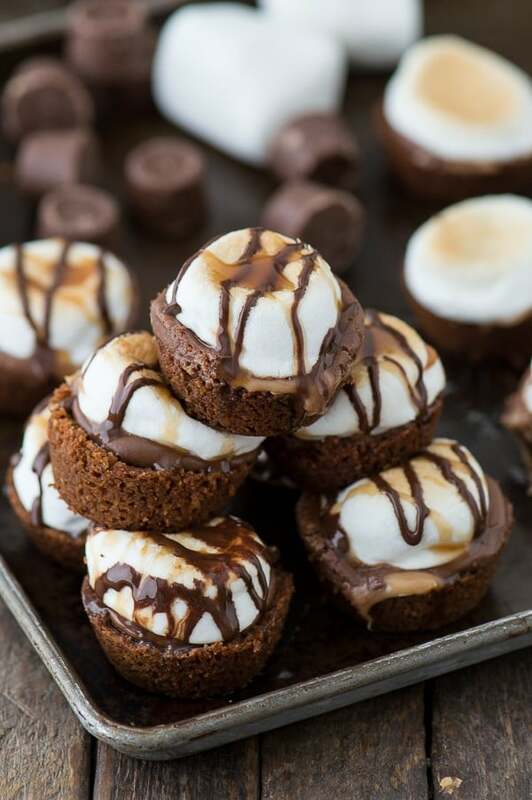 Allow the bites to cool, remove them from the mini muffin pan, then my favorite part.. drizzle each with caramel and chocolate! -make sure the pecans are chopped very fine. If they aren’t, the crust won’t hold together as well. I used a blender to pulse mine into almost what I would call pecan dust. 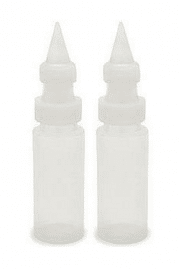 -I absolutely love squeeze bottles for drizzling chocolate, caramel, peanut butter, etc. They are easy to use and give you great control over drizzling. I’ll put a link below to the squeeze bottles I have. However, if you don’t have a squeeze bottle on hand, I’d place the chocolate inside a sandwich bag and cut a very tiny hole on one corner. Finely chop or pulse the pecans in a blender. Finely crush the graham crackers into crumbs using a blender. Combine the pecans, graham cracker crumbs, powdered sugar and melted butter into a medium bowl. 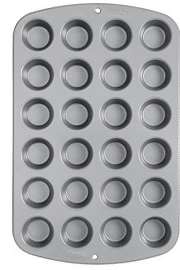 Lightly spray a 24 cup mini muffin pan with non-stick cooking spray. Evenly divide the crumb mixture into each cup, pressing down firmly to form shallow cups. 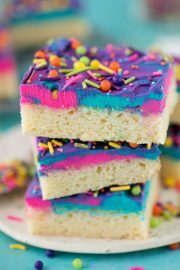 Bake for 6-9 minutes or until edges are bubbling. While that's baking, unwrap 24 Rolo’s. 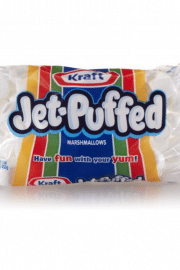 Also cut the marshmallows in half using a scissors that has been sitting in cold water. Remove the pan from the oven and place one (or two!) 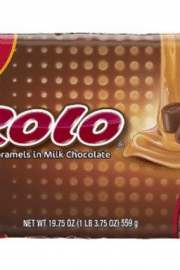 Rolo's into each cup. Return to the oven for 2-4 minutes to melt the chocolate and caramel. Remove the pan from the oven and place one marshmallow half, cut-side down, into each cup. 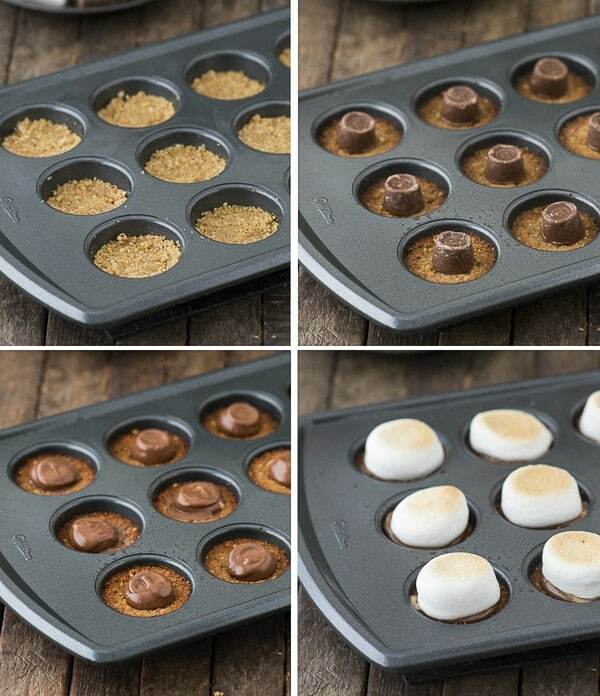 If you'd like the tops to be brown, turn the oven to broil, and broil the turtle s'mores bites for 1-2 minutes. Cool on a cooling rack for 5-10 minutes before carefully removing them from the pan. Drizzle with chocolate and caramel. Do not freeze. 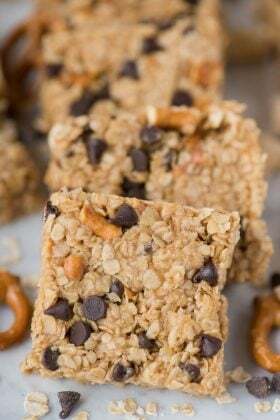 Preferably eat within 3 days of making, but best served same day they are made. These bites look amazing! 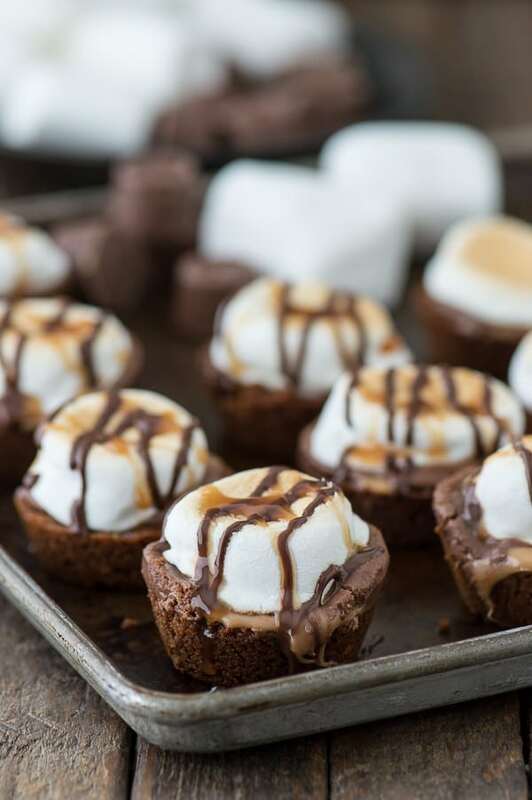 Love the combination of chocolate, pecan, caramel, and s’mores flavors- so much yum! Real turtle goodness right here! How do you store them if you’re not serving them ’til the next day? Hi Julie! 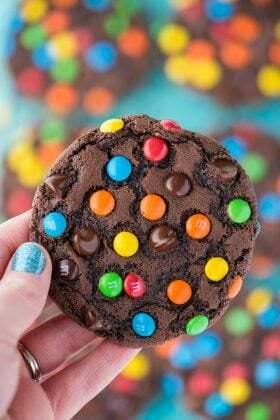 I would place them in a tupperware container and keep them on the counter. They won’t be as fresh the next day (because of the marshmallowS), but they will still be delicious!